Over the last 18 months our business has facilitated over £20,800,000 of new business loans into our economy and at the point of writing we have a further £20,000,000 in legals hoping to be drawn down in the next number of weeks. This is quite a substantial amount given the market place we are operating in and the fact that we are quite a young and small practice. However what we lack in terms of the infancy of our business model, we certainly would like to think we make up in spades in endeavour and enthusiasm, which has went down a treat with many of our funding partners and investors. All very positive news indeed:). What we have also been able to do over the course of the last 18 months is find out what each of these lenders are looking for and how their business models work / or at times don't work. In that process we have been able to guide and mould many of our funding partners in terms of their own offering, again building confidence and rapport along the way with the end result being delivery of new money to our customer base. The current position within our own business is that we now have a cocktail of funding solutions available for our customers, which is required as the positions can be wide and varied and certainly suffice to say that not one size fits all. As a result of this I would like to introduce you to our NEW HIGH NET WORTH FUND, which we have been working on over the last six months. This is a very simple model in that we put deals to our panel of high net worth investors who pick and choose what deal/loan they wish to do. The merits in offering this product to our customers is that often the fund can take a view on the positioning paper a lot quicker, previous credit history and open minded on how we shape any security package. In short we are able to cut through a lot of the red tape and in essence draw down on the funding relatively quickly. 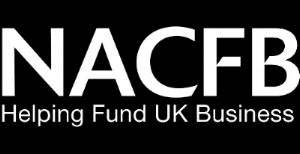 This fund is now very active looking at a range of deals right across the UK, NI and ROI. Presently we have a number of investors who have invested in the fund and each and everyone of them are getting a minimum of 8% return on their money per annum. Given where savings accounts are at present and likely to remain for quite some time, this fund presents our own business and our customers with a very exciting opportunity and fantastic return on three investment. If you would like to hear more about this fund, how it works, how you might get involved. please contact our team for further information.